Dice are a great way to enhance simple centers. 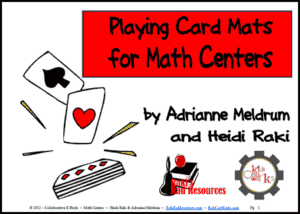 For example, in this simple hundreds chart center, students use two dice to determine a possible number on the hundreds chart. Then, they use this sheet to determine the numbers that will come directly above, below, to the left and to the right of the number they rolled. 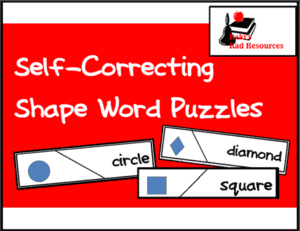 In addition, this free packet includes a blank hundreds chart for students to fill in. 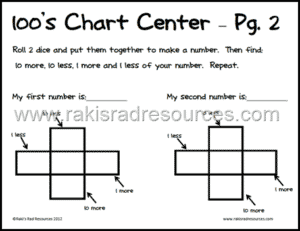 Download this free hundreds chart center from the free resources page at my blog – Raki’s Rad Resources.